Lifecake, an app for easily sharing photos and videos with family and friends, has launched today under the guidance of ex-Skype and ex-Yahoo execs. While it’s by no means the first shared photo album app in the world, Lifecake is trying to set itself apart from the pack by aiming this product squarely at families – specifically, parents that want to keep other family members and friends up-to-date on their progress, but away from the prying eyes of a fully open and public social network. Available today for iOS and Android, Lifecake also aims to solve compatibility and diverse OS issues by making its platform available via the Web, too. 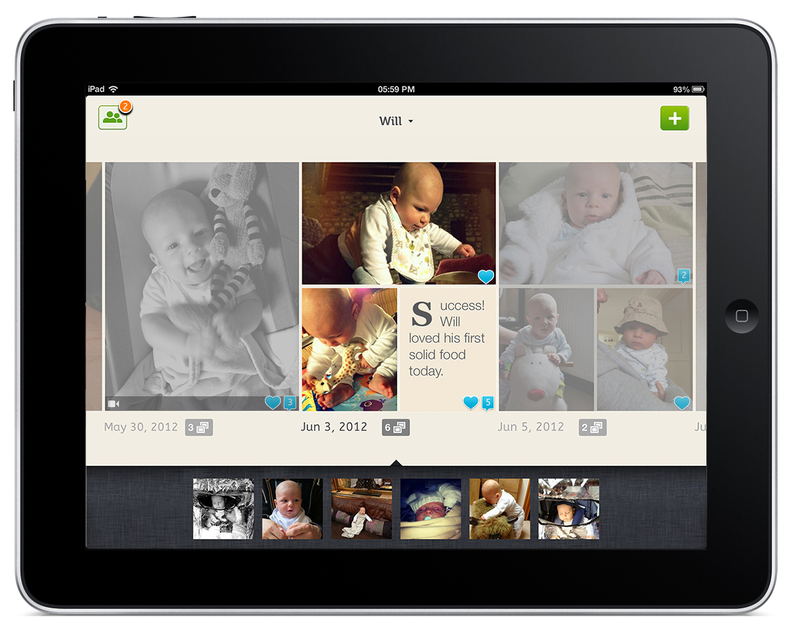 Like its native apps, users get an ad-free space to create a timeline of photos. It also allows users to set whether people they allow to view the photos can also comment or edit them. Behind the company is Nicholas Babaian, former head of Skype’s mobile product team, and Matthew Sheppard, formerly at Qualcomm and Yahoo, who occupy the CEO and CTO positions within the company respectively. Lifecake will give users space for 1000 photographs and an hour’s high quality video for free, following that, in time the company will invite users to become a VIP for just $5 per month.